In this video I’m going to show an example of a “convertible tablet” which just might be a great choice for schools and education: The Lenovo ThinkPad Tablet 2. Being a convertible tablet, the ThinkPad Tablet 2 is designed as a full-fledged computer inside of a touch-screen tablet format, but with an additional bluetooth keyboard base you can purchase to use it more like a laptop. This convertible tablet format is popular right now, with other brands including the Dell Latitude 10, ASUS VivoTab, and Samsung Smart PC 500T. I haven’t tried these other devices, but the ThinkPad Tablet 2 stood out as potentially the best of the bunch for educational use due to the fact that ThinkPads are known for rugged and durable build quality, and it comes with a Wacom digitizer stylus. The Samsung is competitively priced, but I’ve seen reviews noting somewhat questionable durability and sturdiness in its build quality. Meanwhile, the Dell Latitude 10 and ASUS VivoTab seem have some good features, but they only include the active digitizer and stylus if you opt for their highest-level models, which cost significantly more than the ThinkPad 2. So, if you’re considering this “convertible tablet” format for a school or classroom, the ThinkPad Tablet 2 seemed like it could be the smart choice. Access 100% of websites and Windows programs. Like all devices running Windows 8, you can use this as a full-fledged computer. Any of the millions of programs that run on Windows can run on this, which can be important for schools that are already using certain software they would like to keep using. It’s also important for having access to various peripherals that require a real computer to install and use, like various digital microscopes or even the Kinect system. You can also access 100% of websites on the internet, including those that require Flash, Java, Shockwave, Unity, Silverlight, or other plugins to run. Many of these websites can’t be accessed if you use iPads, Android tablets, or Chromebooks. Portable, lightweight, durable. Lenovo’s ThinkPad products are often supplied to our government and as such most of them meet rugged durability standards set by the US military. In testing the ThinkPad Tablet 2, it is very minimalist — it is very lightweight — but the plastic casing seems to be high quality and sturdy. The glass screen is a strengthened glass called Dragontrail glass that is made by Japan’s biggest glassmaker, Ashai. This glass is scratch and shatter-resistant and is about 6 times stronger than conventional glass. I can attest to the durability of this device — I didn’t attempt to stress-test or damage the evaluation unit, but at one point it did accidentally slide off my desk and dropped about 30” down to the hard floor, landing right on a corner. No damage occurred, not so much as a scratch on either the plastic casing or the glass screen. I do trust the durability of Lenovo ThinkPads over some other brands. Wacom active digitizer. The ThinkPad Tablet 2 comes with a feature that I believe is essential for schools and education: an active digitizer. What this means is that, in addition to the multi-touch capacitive screen for finger gestures, there is also a special component to make use of a precision stylus that has a fine point just like a real pen or pencil. This is not like the stylus you might use on a regular capacitive tablet like the iPad — those stylus pens have soft, stubby tips that aren’t much better than a finger for writing or art applications. Active digitizer pens have a fine point and are pressure-sensitive which really helps for precise writing and drawing applications. The stylus for the ThinkPad Tablet 2 is fairly small and lightweight — I would personally prefer a more hefty stylus, but it does work well. It has 1,024 levels of pressure sensitivity, you can even use it as a mouse hover over objects without touching the screen, and one great feature is that there is a small storage slot that the stylus slides into at the top corner of the tablet. Cameras. Like most tablets, this device has both a front-facing and rear-facing camera. And like most tablets, the cameras aren’t amazing, but they have decent resolution and will get the job done. If you want to shoot professional level photography or video, you’ll want an actual camera — probably a digital SLR. But the cameras on the ThinkPad do a decent job, both the 2 megapixel front-facing camera for video conferencing, and the rear-facing 8 megapixel one for video and photography. Battery. The ThinkPad Tablet 2 has a built-in battery which means unfortunately you won’t be able to easily remove it or swap it out with another one. However, with 10 hours of battery life, I doubt you will ever need to. I ran a non-stop, full-screen video stream from Netflix on this device and after 6 hours I still had 40% of the battery life remaining. That’s impressive! Processor. The Atom Z2760 processor on the ThinkPad tablet 2 is sufficient for most educational tasks, but is still weaker than a full-fledged desktop, laptop, or ultrabook. The Atom processor is actually more powerful than the processors found in iPads and Android tablets, but it doesn’t have great graphics performance. As you can see, we get a Windows experience of 3.2 on this machine, which all things considered isn’t too bad. It will allow you to access websites, Google Docs, Microsoft Office, watch HD videos on YouTube and Khan Academy. It can even handle more complex tasks like photo and video editing, Google Earth, and even basic CAD design like SketchUp. However, it isn’t going to be sufficient if you want to do specialized tasks like cutting-edge video games, 3D graphics, or HD video editing. Keyboard. 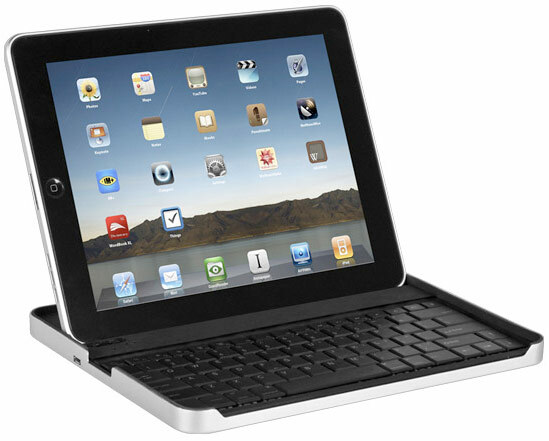 Although the keyboard has a great feel and seems to be durable, it has a few negative aspects. The way the tablet sits on the keyboard is less than ideal. It simply slides into a little slot with no sort of hook or attachment mechanism. It fits snugly and feels pretty secure, but it could easily fall out if it gets bumped, especially from behind. The stand also keeps the tablet upright at one specific angle — there is nothing you can adjust about that. The keyboard isn’t bad — the keys themselves feel and work great — but it does seem overpriced at over $100. There also is no finger-touch pad which people are used to using on laptops; instead, there is the little red trackpoint that thinkpads are known for. This can be a little bit annoying and difficult to use. Since you have a touch-screen, you might not really need these pointer tools, but if you’re using any traditional programs that use a mouse, you’ll probably want to go ahead and use a real mouse. Management. Having separate components to keep track of can make this more difficult to carry and to manage than an ultrabook or convertible ultrabook. I would suggest using only the tablet part alone for mobility and portability, while keeping the keyboard handy in a specific location to be used when you want to type and create documents. For example, at school you could store the tablets overnight in a charging cart, while students keep the keyboard easily accessible inside of their desks. If you do want to move both the tablet and keyboard around together, for about $40 you can get a sleeve designed to carry them both together. Pricetag. The price of a convertible tablet is going to be more than the cost of most regular netbooks, ultrabooks, Chromebooks, or Android tablets. However, at about $500 for a 64gb tablet, the ThinkPad Tablet 2 comes in at a pricepoint lower than full-sized iPads and offers much more functionality including being able to run full-fledged Windows applications as well as access to 100% of websites including Flash and Java ones. Personally, I’m planning to go paperless in my classroom next year, and this ThinkPad Tablet 2 is the device I am considering using to get me there. Going paperless doesn’t mean we can completely do away with drawing and handwriting. These are still essential tasks in the classroom, and you can’t do these sorts of tasks well with a laptop, netbook, Chromebook, or iPad. There are very few devices that come with an active digitizer pen, and the included Wacom stylus in this unit allows students to write and draw with accuracy, which could be essential for doing things like virtual worksheets, or completing MARS tasks as part of the new Common Core math curriculum. Overall, I think the Lenovo ThinkPad Tablet 2 could be a great choice for schools and classrooms who want to have it all. 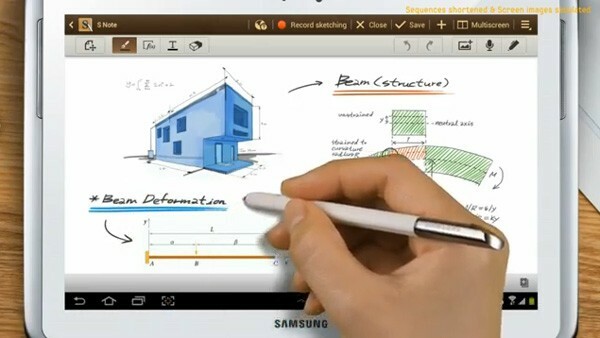 If you want to be able to easily write and draw on the device, plus run actual computer applications, plus have access to 100% of the educational websites out there — but you like the convenience of a touch-screen tablet for movies, ebooks, practice games, and photo, video, and art projects — then this is the device for you. It can meet all of those needs and will last all school day with its 10 hour battery life.